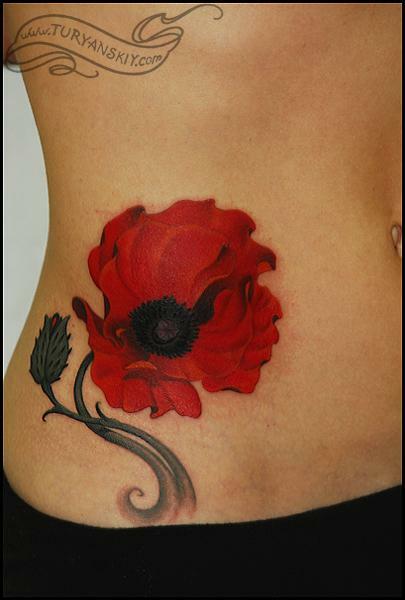 Custom color poppy flower tattoo. About 5 hours. 2011.